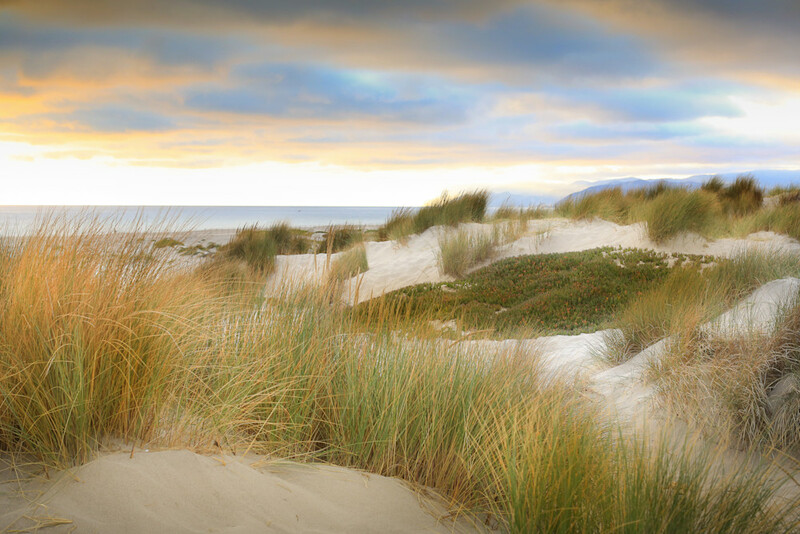 Grassy dunes are aglow as the setting sun illuminates the clouds. Pure and simple, sand dunes are impossibly lovely. They are also the vessel of memory: moments with family, friends, lovers. Perhaps most important, they are a reminder. Listen closely to the hiss of tiny settlings and scatterings, the sound like, well, sand running through your fingers. From the dunes you can always see the horizon.